Nestled high in the Southern Alps, Mt Hutt ski resort has been voted the best ski resort in New Zealand for four years in a row at the World Ski Awards. Popular not only for its large alpine terrain and excellent snow record but also for its Kids 4 Free Campaign that offers free services to children under the age of 10. Combined with Methven’s Kiwi hospitality and numerous attractions, Mt. Hutt ski resort provides an affordable and memorable ski holiday not only to skiers and snowboarders but also to families and children. Located in the heart of Canterbury, Mt Hutt ski resort is one of the biggest and best ski mountains in New Zealand. Offering an impressive powder filled terrain with steep and thigh burning slopes, wide-open groomed pistes, panoramic views and family friendly facilities, the resort has won New Zealand’s best Ski Resort award from 2015 to 2018. Aside from its perfectly groomed ski runs and a large selection of off-piste slopes, Mt. Hutt ski resort also offers a wide range of activities and facilities to cater to every ski enthusiasts including daycares, children ski programs and terrain parks for freestylers and snowboarders. Mt Hutt skiing area is located 36km away from Methven and is considered one of the snowiest ski terrains in the Southern Alps. With a peak of 2086 meters, Mt. 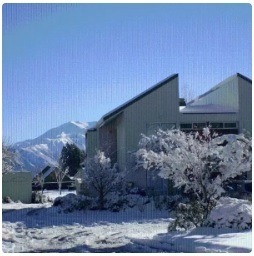 Hutt ski resort receives an average of 4m of snow per season, better than any other commercial resorts in New Zealand. Opening as early as the first week of June, Mt. 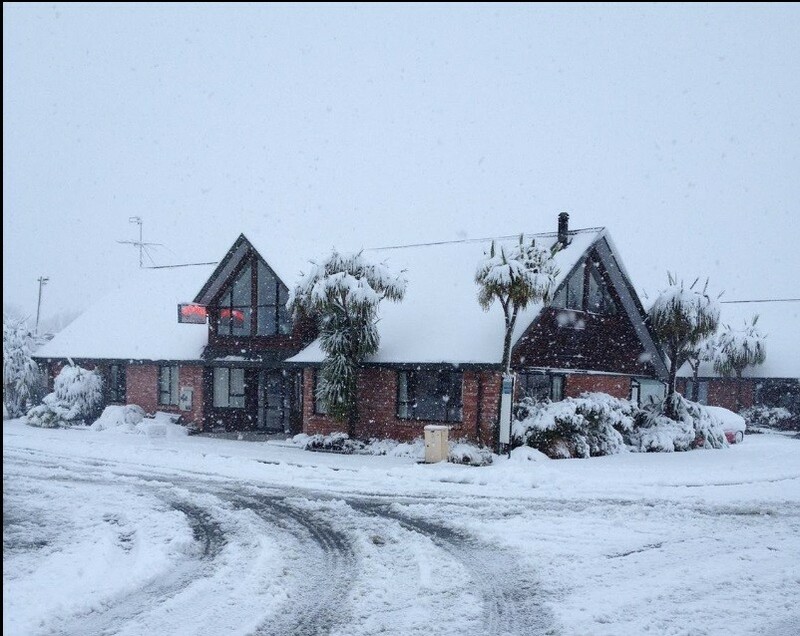 Hutt is also one of the ski resorts in New Zealand that has a long winter season. The resort is serviced by 76 snow machines and 5 modern and upgraded lifts including Magic and Sunkid Carpets. With 40km of slopes for skiing, the 365 hectares skiable terrain at Mt Hutt is ideal for intermediate and advanced skiers. The entire terrain is treeless with an expansive off-piste terrain for expert skiers and freeriders. The resort also features four terrain parks suitable for beginners to advanced snowboarders. Although Mt Hutt is more famous for its off-piste terrain there are many options for beginners and children as well. Free skiing in Mt. Hutt is available to children ages 10 below. Ski lessons for aged 3 and up and group lessons are also available at the resort’s Skiwiland facility. Several beginner trails can be found at the base area of the resort. The 140-meter Magic Carpet lift takes novices to the beginners learning area but for more advanced slopes, beginners can take the Summit Six Chairlift and access the easy intermediate Fascination and Morning Glory trails. Intermediate skiers, will definitely remember Mt Hutt ski resort not only for its well-groomed and wide open trails but also for its panoramic blue trails with views spanning the Southern Alps to the west and the volcanic mountains of the Banks Peninsula and Pacific Ocean to the south. Most of the intermediate trails can be accessed by riding the Summit Six Chairlift including the long Hubers Run and the upper Fascination. Some of the blue trails including the International trail which has a steep and ungroomed exit can be accessed by taking the Towers Triple Chairlift. A glance at the ski resort’s trail map is enough to see that most of the slopes for skiing in Mt Hutt are marked black. Some of the more thigh-burning chutes and deep powder fields can be found at the South Face area, including the extremely difficult black diamonds at the Towers terrain. Several steep, ungroomed black marked trails run from the Virgin Mile Ridge. Black diamonds can also be found near the ‘The Bluffs’ area like the mogul filled tracks of Bob’s Knob and Elephant pistes. Mt. Hutt ski resort has some of the best off-piste slopes in New Zealand including the extremely difficult and powder stashed ski routes at the back of South Face. For more adventure and an extraordinary off-piste experience, thrill-seeking experts can venture the untamed slopes of the Rakaia Saddle Chutes with caution. Heli-skiing and heli-boarding at the extensive and powder stashed Arrowsmith range beyond the Rakaia area can be arranged with the experienced Methven Heliski guides. The heli-skiing landing spots are often glaciated and located 2,500m above sea level with the longest track running 850m long and a maximum vertical drop off of 1,200m. Unfortunately, the award-winning resort only offers a limited option for après ski and nightlife, most of which can be found at Methven. Mt. Hutt guests can head to Sky High Café for pizza and pasta or visit Huber’s Hut for sumptuous hotpots, coffee and the best burger in Canterbury. 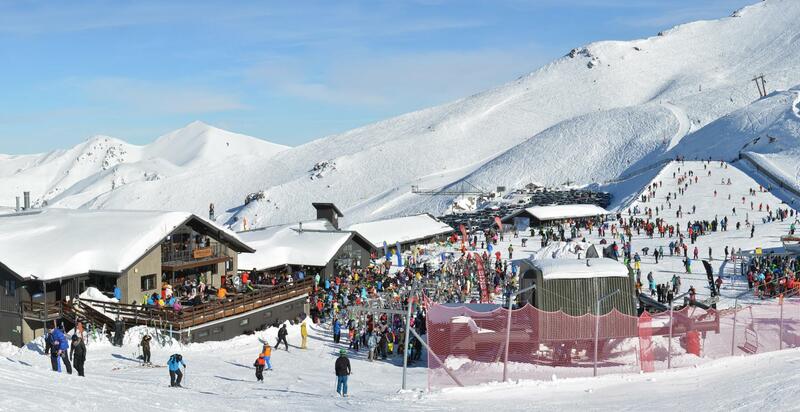 The Ski Time Bar and restaurant is a popular après ski destination for skiers visiting Mt Hutt. The bar and restaurant are wonderfully decorated to provide a cozy environment for skiers to relax and unwind after conquering the challenging slopes. The restaurant is one of the busiest bars in ski season and has a long waiting time in peak hours. But it’s worth the wait as it has some of the best tasting food in town. For those who love live music, then head to the Blue Pub located at the heart of Methven Village. The Blue Restaurant serves delicious á la carte meals while the Blue Pub offers an excellent selection of drinks and beverages that can be enjoyed out on their sweeping verandas. The Brown Pub is another popular spot for skiers located near the Blue Pub. The establishment offers a “true country pub” experience which includes a family restaurant, the Main and Fireside Bars and a budget-friendly accommodation. The Dubliner is a multi-awarded Irish themed restaurant that serves Methven’s world famous gourmet pizzas and features live music and entertainment. It offers a good range of premium Irish beers and cocktails and has recently won the 2019 Beef and Lamb New Zealand Excellence Award. Mt Hutt is an award-winning resort that offers an excellent powder filled skiing experience for the whole family. But the ski resort’s base is quite small and as of now there are no accommodations and non-skiing activities offered yet. For more non-skiing and off-mountain adventures, guests can head to the villages of Methven and Springfield, around one hour away from the resort. These villages offer affordable accommodations and several activities ranging from indoor activities and heli-skiing during winter to mountain biking, fishing hunting, skydiving during the summer. More than just a chance to Heli-ski, the helicopter rides from Mt Hutt is a wonderful scenic experience for all the ski resort’s guest. The helicopters offer a large selection of tours with picturesque views of the snowcapped mountain peaks and the majestic lakes surrounding the area. Hop on the world-famous Discovery Jet and get the most thrilling boat ride of your life on the Rakaia River. This activity hits its peak when the skiing is temporarily unavailable due to bad snowstorms in Mt Hutt. 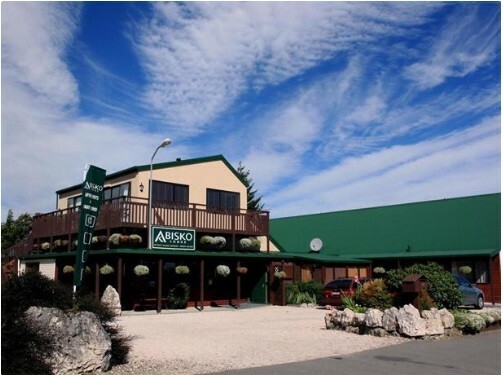 At the heart of Canterbury, guests can try their luck at the upscale golf resort located near the Rakaia Gorge. The 18-hole golf course is rated as New Zealand’s top golfing destination and showcases an extensive and challenging terrain with the majestic Mt Hutt in the backdrop. For Lord of the Rings fans who happen to be skiers, Metheven offers trips to the Lord of the Rings filming locations. Located south of Mt Somers, in the Hakatere Conservation Park stands the popular Mt. Sunday where Edoras from the LOTR trilogy was set and filmed. The tour also offers a visit to some of the most beautiful lakes like, Lake Heron and Lake Clearwater. Another way to explore the Canterbury plains, lakes and the panoramic mountains is by taking a hot air balloon trip from Methven. Operating since 1992 and managed by experienced pilots and crews, the balloon flights are available all year round depending on the weather.